Space – only for global superpowers or can others carve a niche ? And, living the high life in CBD. Plus, meet the new teachers – robo-educators. The companies signed the agreement during the 11th annual Global Space and Technology Convention organised by the Singapore Space and Technology Association. Minister for Trade and Industry Chan Chun Sing, who witnessed the agreement signing for the joint venture, said this development benefits Singapore in many ways. “There are a lot of positive things from these technologies, (such as) the kind of business opportunities that we can create and the kind of jobs that we can create,” he said. ST Engineering has announced that it is setting up a joint-venture company with DSO National Laboratories to unlock business opportunities with new satellite technology. Such new space technologies are an opportunity for Singapore to create new industries, said Minister for Trade and Industry Chan Chun Sing at the Global Space and Technology Convention, where the agreement was signed. The 11th Global Space and Technology Convention (GSTC) is being held at The St. Regis Singapore hotel in Singapore from Feb. 14 to 15. Hosted by the Singapore Space and Technology Association (SSTA), which focuses on developing Singapore’s space and related high technology industries, the convention aims to create a platform for Asian space industries and bring together leaders in the space field for a comprehensive overview in innovation and application areas, according to a statement received by The Jakarta Post. Nanyang Technological University’s Satellite Research Centre has ambitious plans to build and fly a small satellite that will circle the celestial body, collecting the first Singapore snapshots of the lunar landscape; explore the unknown and inspire future generations of scientists in the field. Singapore Space and Technology Association president Jonathan Hung shares that Singapore has limited resources. Thus, unlike China and US, our focus is on research and development, and technology. Every year, The Singapore Women’s Weekly shines the spotlight on 18 outstanding, powerful and high-achieving career women in the Great Women Of Our Time awards. Micro-satellites will be the key in the developing Asian space industry, and Singapore has the opportunity to pave the way. Find out more from Lynette Tan, our Executive Director at SSTA. Part 2 of 2 on Channel NewsAsia’s documentary. It features SSTA’s Humanitarian Assistance and Disaster Relief (HADR) competition, an industry program that challenges participants to innovate and create solutions to tackle disaster emergencies using space technology. The competition is led by SSTA President Jonathan Hung & Industry Manager Terence Chan. Part 1 of 2 on a documentary series by Channel NewsAsia, featuring SSTA President Jonathan Hung as one of the passionate Singaporeans in pursuit of their ambitious aspirations. Insert Space, the team that won the Singapore hackathon organized by the Singapore Space and Technology Association (SSTA), was one of the five finalists. Insert Space also clinched the Airbus Innovation Prize for their small satellite propulsion using a 3D-printed vaporising liquid microthruster. Singaporean Team “Insert Space” has won the Airbus Innovation Prize! The team started out by winning the Singapore leg of Act in Space organised by SSTA and made their way to the international stage, clinching the Airbus Innovation Prize. This is Singapore’s 1st time participating and representing the international event – A step forward in progressing Singapore’s space ecosystem! SSTA’s 2-page feature in the May/June issue of Satellite Evolution Asia. Amy Saunders spoke with Lynette Tan, founding member and Executive Director at SSTA to discuss Asia’s growing space sector, and how Singapore can become a major international hub for space-related activities. It may come as a surprise, but Singapore has a space industry – one which hires 1,000 people and involves 30 companies, including Singapore Space and Technology Association (SSTA). 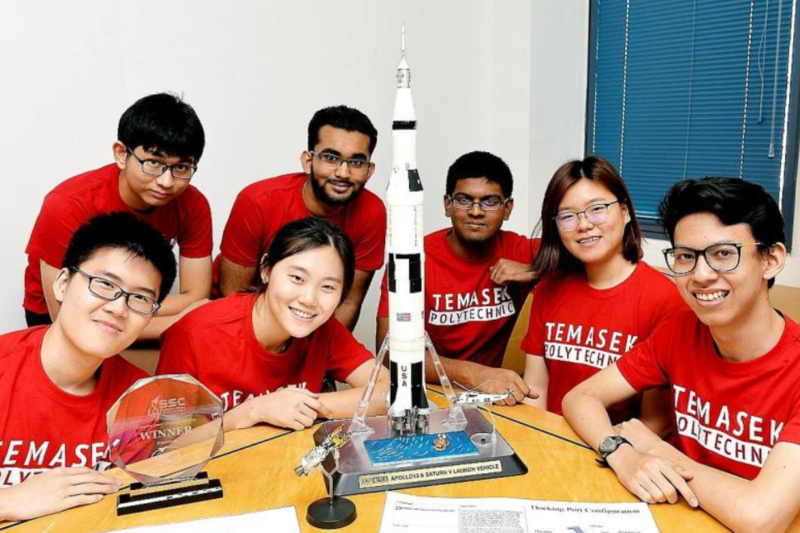 Winner of SSTA’s Singapore Space Challenge 2017 – Mercury Seven of Temasek Polytechnic, share their experience and thoughts post-challenge. World’s leading companies in space technologies attended the Global Space and Technology Convention (GSTC, Sheraton Hotel Singapore, 2-3rd February 2018) organized by SSTA to present on A.I, Blockchain, Machine Learning and Big Data Analytic in the Space Technology sector. OpenGov recently spoke to Mr Jonathan Hung, Founder and President of the Singapore Space and Technology Association, to find out more about Singapore’s aspirations as a regional space hub. Taking Flight: Singapore students’ experiment proposal lifts off to space. Coordinated by SSTA, the “Asian Try Zero-G” programme helps Singapore students’ experiment proposals take flight through the Japan aerospace agency. On 31 January 2018, Singapore hosted the first ever Space Generation (SG[ASEAN]) Workshop, held at NUS and E2A. In conjunction with GSTC 2018, Singapore Space and Technology Association (SSTA) jointly organised the event with Space Generation Advisory Council (SGAC). Highlights for the 10th annual GSTC presented by SSTA include the announcement of the 1st Singaporean Astronaut, Signing of MOUs and the support of Formation Flying from the Singaporean minister for trade and industry. In addition to Singapore’s small satellite capabilities discussed at GSTC, an agreement has been signed between the Singapore Space and Technology Association (SSTA) and NUS to work together to drive educational outreach programmes and encourage careers in space and related technologies. During SSTA’s Global Space and Technology Convention 2018, Trade and Industry Minister S Iswaran discussed the possibility for Singapore to become one of the first in Asia to build small satellites in the information sector as a part of newly established Satellite Technology and Research Centre’s (STAR) first mission. SSTA president Jonathan Hung was present at the announcement by In.Genius, advocating the project. During the Global Space and Technology Convention 2018, presented by SSTA, Mr S. Iswaran, Minister for Trade and Industry stated that “Aided by advancements in miniaturisation of electronics and an increase in companies offering space launch services, small satellites promise more comprehensive coverage and flexible usage at a lower cost. FICCI and ISRO have a Memorandum of Understanding (MoU) with Singapore Space Technology Association (SSTA) since November 2017 for mutual support of the space industry initiatives in the two countries. At the Global Space and Technology Convention on Thursday (Feb 1), Trade and Industry Minister S Iswaran said Singapore could be one of the first in Asia to fly small satellites in formation as part of the newly-opened Satellite Technology and Research Centre’s (STAR) maiden mission. Global Space & Technology Convention (GSTC) 2018 is created and hosted by SSTA, which aims to shed light on the future of Asia’s burgeoning space sector. Cheaper and Faster: The ability for small satellites to do the same work as larger ones have sparked a talking point at SSTA’s Global Space and Technology Convention 2018. SSTA President Jonathan Hung joined Bryan Curtis and Rishaad Salamat to discuss the outlook for the space tech sector in the region, explaining how much we already use such technology in our daily lives. He went on to explain the SSTA’s role in helping businesses with developing ideas. The acquisition of DS-SAR was announced earlier today, at the Global Space & Technology Convention 2018 (GSTC), during the opening address by Guest-of-Honour S. Iswaran, Singapore’s Minister for Trade and Industry. Tech Trade Asia’s press release on GSTC 2018 – Summary. The Singapore Space and Technology Association (SSTA) has announced plans for a six-month accelerator program in the second quarter for space startups looking to make an impact on the US$350-billion global space market. 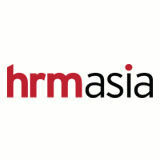 The “first of its kind programme” in Asia, the application will open in August. The Global Space and Technology Convention (GSTC), Singapore’s largest annual space event, is set to take place between 1-2 February 2018 at Sheraton Towers. This year’s will mark the convention’s 10th anniversary. SSTA coordinated with other Kibo-ABC member countries to prepare unique flight items for it’s “Asian Try Zero-G 2018” programme. This required many kinds of activities for flight preparation, which were completed, and launched on Dec. 15th, 2017 and delivered to the ISS on Dec. 16th, 2017. Satellite News spoke to Jonathan Hung, president of the SSTA, about the potential for satellite and space technologies in Singapore and what the SSTA is doing to make sure these technologies stay prominent on the media landscape. Mr. Jonathan Hung, President of Singapore Space Technology Association (SSTA) spoke on how Singapore is trying to involve the youth in taking an interest in space research, noting that space technology is not science fiction anymore and youth can engage with these technologies. Mr Jonathan Hung, President of SSTA, highlighted the significance of the JAXA-SSTA partnership with KIBO space utilization onboard the International Space Station. Mr Jonathan Hung, President of Singapore Space and Technology (SSTA) was part of a collective panel of representatives for international space agencies/association during the International Seminar. Discussions at Singapore Space and Technology Association’s Industry Awareness Talk has indicated that the rapidly growing sector of Singapore’s space industry is within grasp of curious new entrants. Chen Shu Ting, Executive Director of Singapore Space and Technology Association, pointed out that many foreign companies have set up branches in our country in recent years to explore the possibility of manufacturing and launching satellites locally and developing satellite – related businesses. The industry is expected to achieve double digit growth in the next 5 years. SSTA is one of the non-profit organizations formed in Singapore that provide opportunities to volunteer for space. Let’s build the future of Space in Singapore together! Singapore Space and Technology Association’s Lynette Tan discusses the opportunities that space offers to a small country like Singapore. 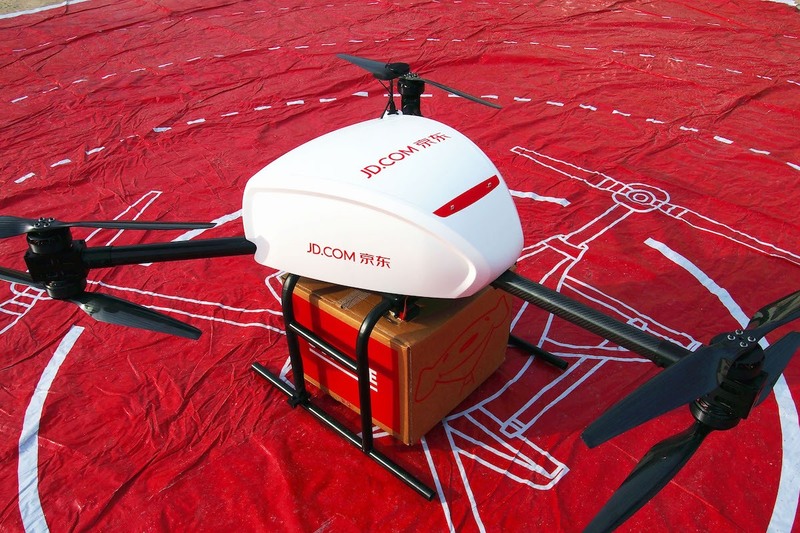 In addition, Singapore Space and Technology Association has also linked an Memorandum of Understanding with the Global Navigation Satellite Systems – Location Based Services Association of China in 2015 during the Global Space and Technology Convention held annually in Singapore. SSTA and other Kibo-ABC members announced a proposal (for “Asian Try Zero-G”) to be conducted by JAXA astronaut Norishige Kanai onboard the Internation Space Station. 169 experiment proposals were submitted from 361 students and young engineers/researchers in Asian countries. SSTA’s website “space.org.sg” was recommended by GovTech Singapore as a launchpad to find out more about Singapore’s space-related developments. President of SSTA Jonathan Hung will attend as one of the judges on the panel for Airbus’s Startup Event 2017, an event inspired by the Smart Nation initiative, which aims to identify solutions that use connectivity and technology to improve the life of ordinary people, particularly in areas such as transportation, infrastructure, and security. It is not just Buzz Lightyear who wants to go to infinity and beyond. Like the Toy Story Star, Singapore too has space ambitions. As SSTA turns 10 this year, the team talks to Straits Times on ways Singapore can reach for the stars. SSTA aims to instill a “deep STEM” culture even outside of its own industry. This comes in the form of several public initiatives targeted at introducing and developing STEM topics and concepts to children, adults, and professionals of all ages. Hillgrove Secondary students get the chance to see their experiment conducted aboard ISS as part of SSTA’s “Asian Try Zero-G” programme in collaboration with JAXA. SSTA has taken another step towards the growth in both the global and Singapore’s space industry with its Chinese counterpart, who inked a deal to set up the world’s first R&D center that will allow navigational satellite experts from both sides to work together on projects. The partnership consisting of the Singapore Space and Technology Association (SSTA) and Global Navigation Satellite System (GNSS) and Location Based Service (LBS) and Association of China (GLAC) will include co-building a common platform for navigational satellite experts from both associations for knowledge sharing, conducting joint research projects and to identify opportunities to commercialise such projects together.